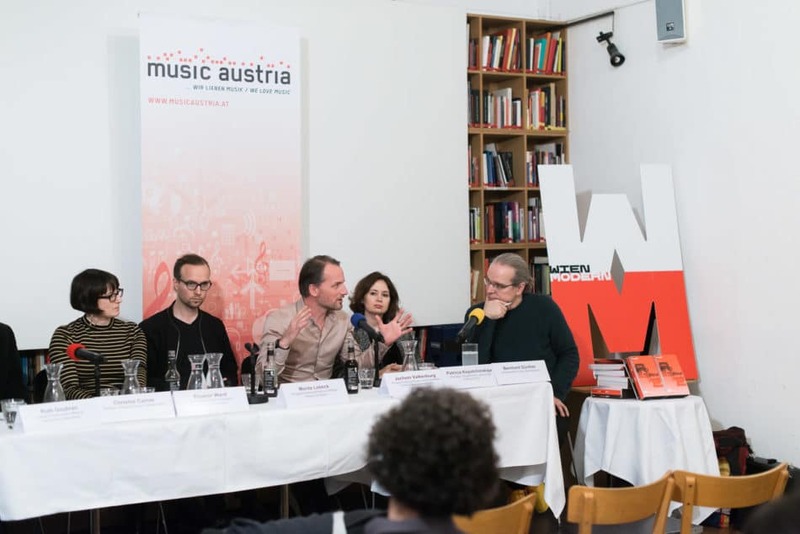 As part of Wien Modern 2018, Austrian Music Export and mica – music austria organized a panel discussion that aimed to foster international networking. 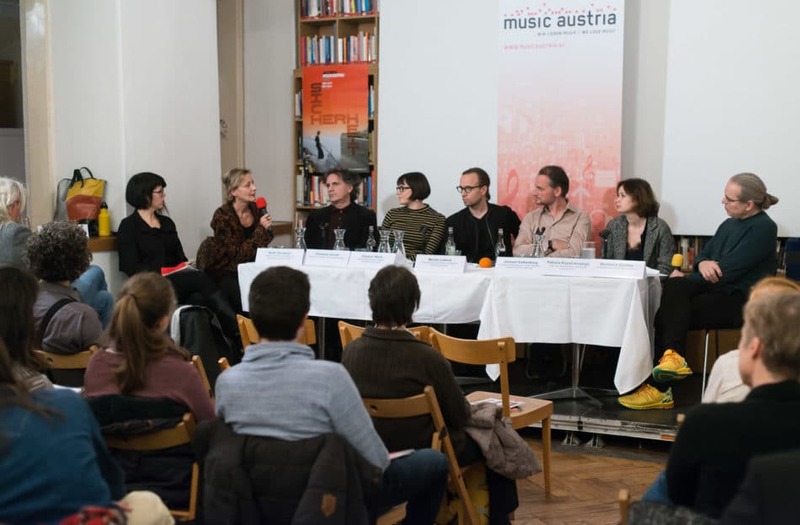 The series mica focus 2018 was looking at the topics concert promotion and risk-taking, appropriate to Wien Modern´s motto “Security”. 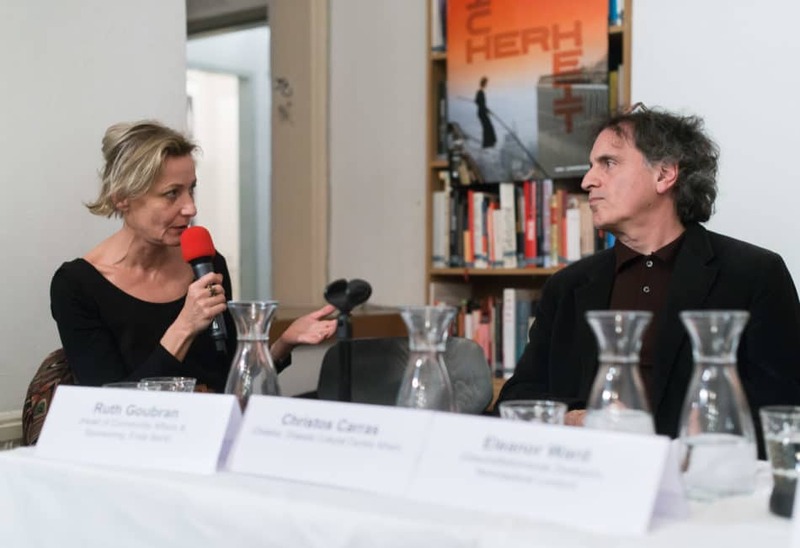 Music journalist Tristan Bath joined the discussion which was hosted by the artistic director Bernhard Günther (Wien Modern) and the networking event after. At the fringes of contemporary music, the role of the concert promoter becomes dominated by one key factor: risk. Bringing the myriad risks of hosting challenging new music – often composed by unknown up-and-comers – into some kind of balance, ends up being something of an art form unto itself. 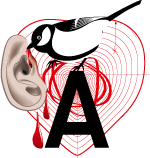 Just what this all means to the modern contemporary music promoter, in an age dominated by the opposing forces of audiences both hungry for curation and decreasingly willing to take risks with their free time, is the subject of today’s “mica focus” discussion. 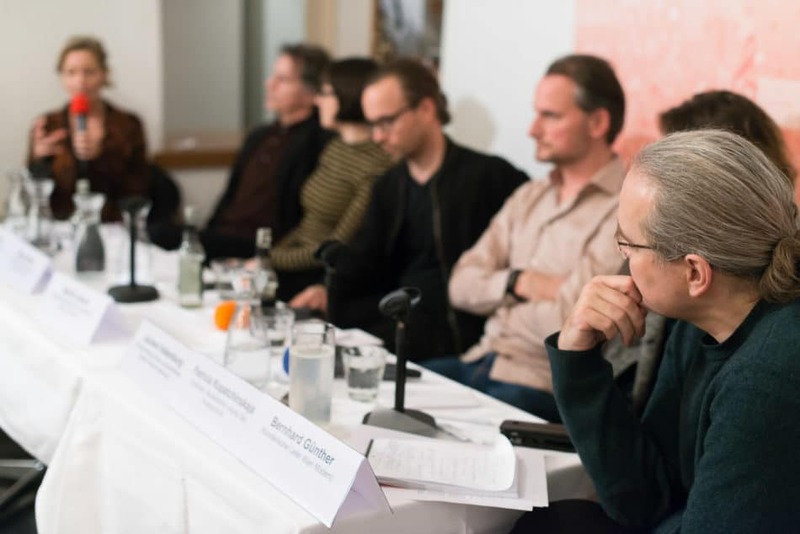 An esteemed panel of directors from contemporary music venues and organisations across Europe, plus violinist Patricia Kopatchinskaja and Erste Bank’s head of sponsorship Ruth Goubran, are gathered in Vienna’s seventh district to talk over risk-taking in hosting contemporary music events. Swapping war stories, it’s clear that the panel have experienced similar difficulties across the board. Christos Carras from Athens’ Onassis Cultural Centre speaks of the practical issues in hosting music in ancient venues with scant facilities. 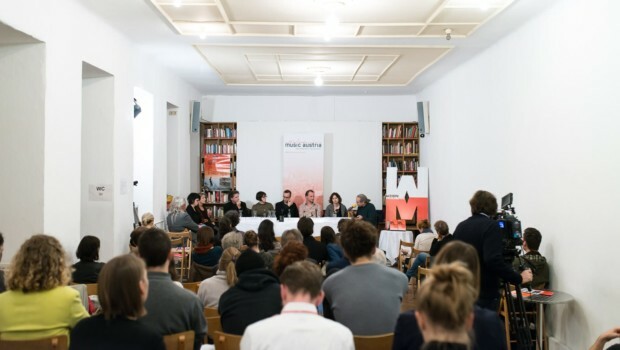 Both Eleanor Ward from London’s Nonclassical and Moritz Lobeck from Dresden’s Hellerau describe the knife-edge budgets that make merely breaking even a constant challenge in the absence of adequate state-funding. Holland Festival programming director, Jochem Valkenburg speaks of the indifference classical music audiences can have to new music. So how to continue taking risks putting on progressive, forward-thinking performances in such a hostile environment? “The biggest risk of our time,” says Patricia Kopatchinskaja, “is not to take a risk.” Away from economic and practical factors, there’s been a core philosophy in post-war Europe that music – particularly mainstream music – exists for pleasure; is here to provide comfort. Our panel seem to agree that this is most certainly, “not true”. Soaking up one’s favourite Beethoven symphony or filling a concert hall for a night of music from Star Wars is the opposite of a challenge – for both audience and promoter. The second half of the 20th century saw a gradual migration of new music, out of the concert halls and theatres, and into the shadowy fringe corners of culture. 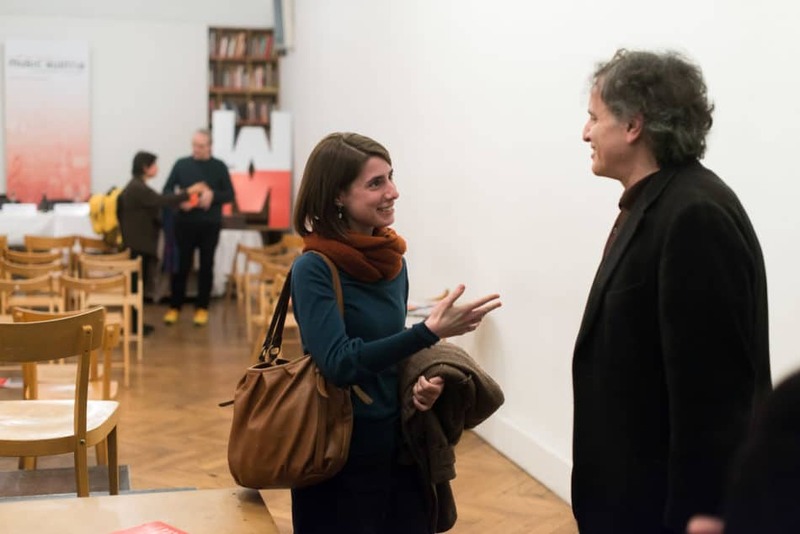 In a cultural landscape overflowing with art – “an infinite amount of contemporary art” as Kopatchinskaja puts it – performance spaces become gold dust. Event calendars are ever more squeezed, leaving little-to-no room for events unlikely to turn a profit. How to take the role of curation as anything more than simply spoon-feeding a pacified audience with the recycled work of evergreen composers? Eleanor Ward believes a change of surroundings is in order. Her Nonclassical promoter and label has been bringing new music to events – purposefully dubbed as ‘gigs’ rather than ‘concerts’ – to pubs and other spots across England unfamiliar with contemporary classical music. “Context,” she says, “is everything.” In her eyes, the concert hall is stale as a venue, and unwelcoming or disharmonious with the musical experience modern audiences seek. 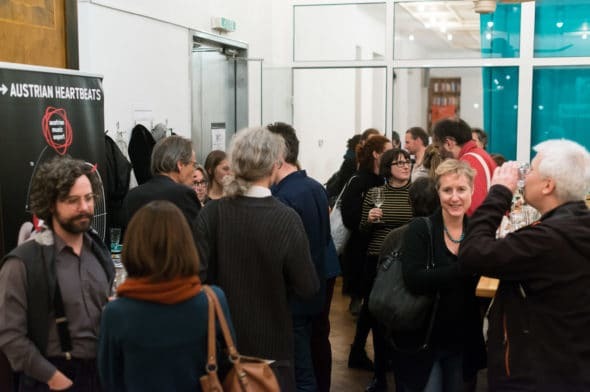 The potential clink of pint glasses and murmur of chit chat needn’t preclude music – and besides, Ward makes it clear that Nonclassical’s audiences have grown increasingly receptive over years of work, their events now regularly selling out. Perhaps this change of tone is some kind of answer to the problems facing promoters wishing to gather audiences for performances of new and challenging work. Visual arts institutions such as London’s Tate Modern provide some kind of model for success, displaying key historical artworks alongside brand new commissions in recycled power plant for millions of visitors annually – and all for free. While concerts – or even “gigs” for that matter – are no doubt more of a commitment for an audience, there are lessons here to be learned. It’s a given that unlocking more state-funding is always going to help, but the role of a promoter is first and foremost to curate for audiences, and provide time and space for artists. 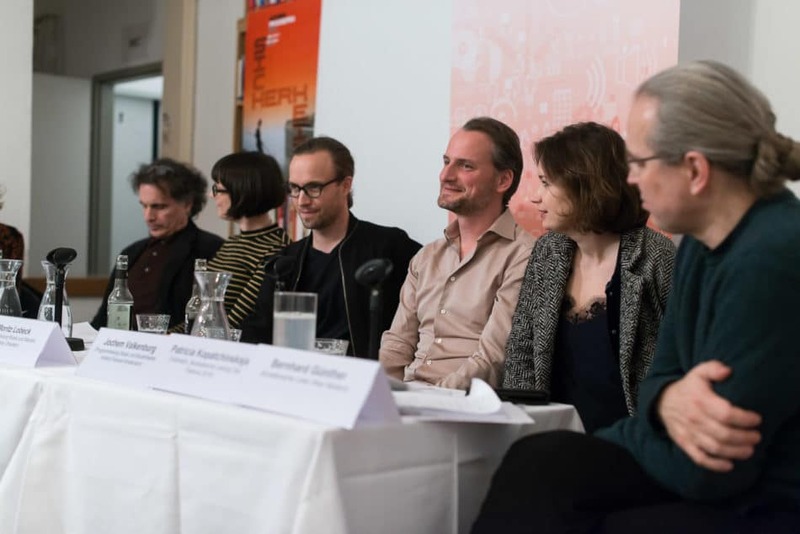 Removing perceived barriers, taking music out of stale locations, working to reduce or remove ticket prices, confronting the notion that one has to be a musicologist to ‘get’ Schoenberg, placing comfort and discomfort together into one programme – there’s no single one way for new music promoters to get bums on seats. Thinking like their artists however, and taking bolder risks, is more vital than it’s ever been. Whatever happens, plotting a future for new music means the same thing for artists, audiences, and promoters alike: fear of the unknown must be disregarded.